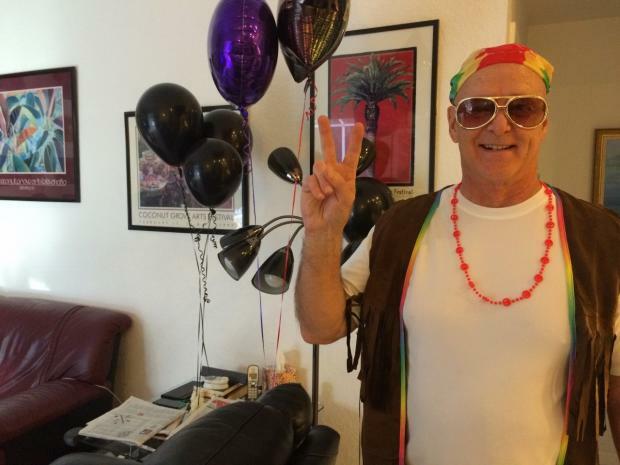 Celebrating the '70's at my 70th birthday party! Happy 70th to all of you! !